Gouden Arend is a golden blond beer to savour. It has a surprisingly delicate but pronounced hoppiness and a pleasant fruity aftertaste. With it’s citric, hoppy nose and the subtle touch of grapefruit in it’s taste, it’s the perfect appetite stimulant and a match to several tasty dishes. 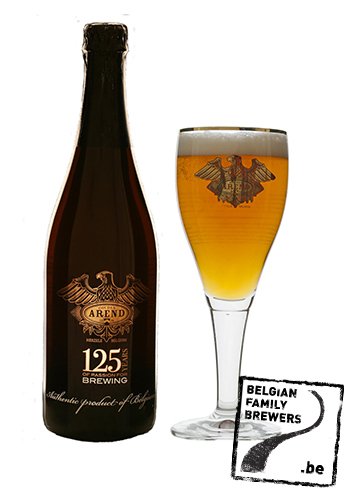 “Gouden Arend” is especially brewed for the unique occasion of the 125th anniversary of the brewery in 2011 and exclusively sold in a limited edition decorated bottle. Since 2013 it is relaunched every september to celebrate the anniversary of the brewery. 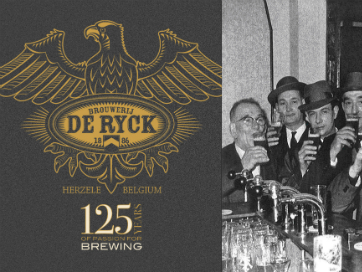 The name is a tribute to our founder Gustave De Ryck, who started the brewery originally under the name ‘De Golden Arendt’ , as a reference to his German teacher of the ‘zoom Goldenness Adler braveries’ in Bremen.